← Kinder Cardigan – Now Available as a PDF Pattern! Are you near Brighton the weekend of the 9th and 10th Feb? If so, you’re in luck! Over the past few weeks I’ve been having a ruthless spring clean and sort out to prepare MIY Workshop for some new and exciting developments (more on that soon). 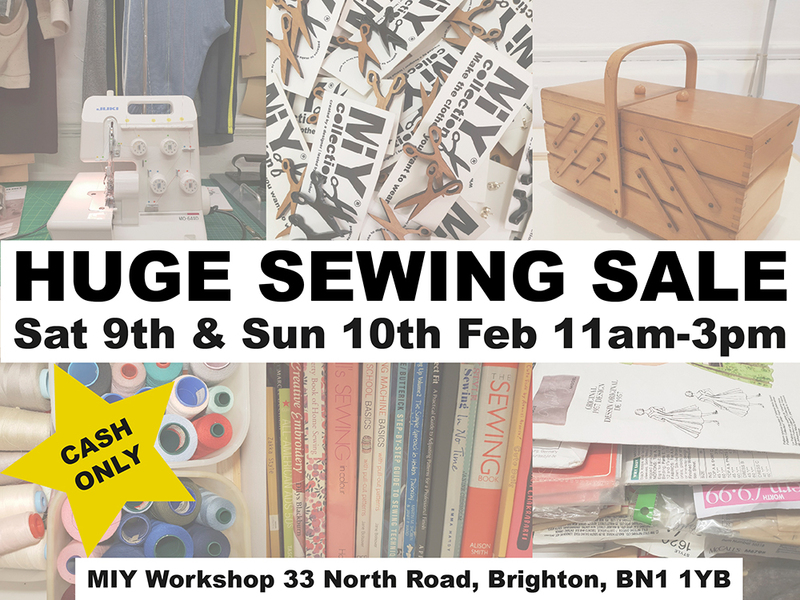 The result of my Marie Kondo style efforts is an enormous pile of sewing related treasures that I’m going to part with in a workshop sale on Saturday 9th and Sunday 10th February. One of my beloved Juki overlockers. This is a model MO-644D which is over £350 to buy new. It’s been well looked after, is in good working order and comes with all its original accessories, instruction book and packaging. Price TBC, open to offers in advance of sale. 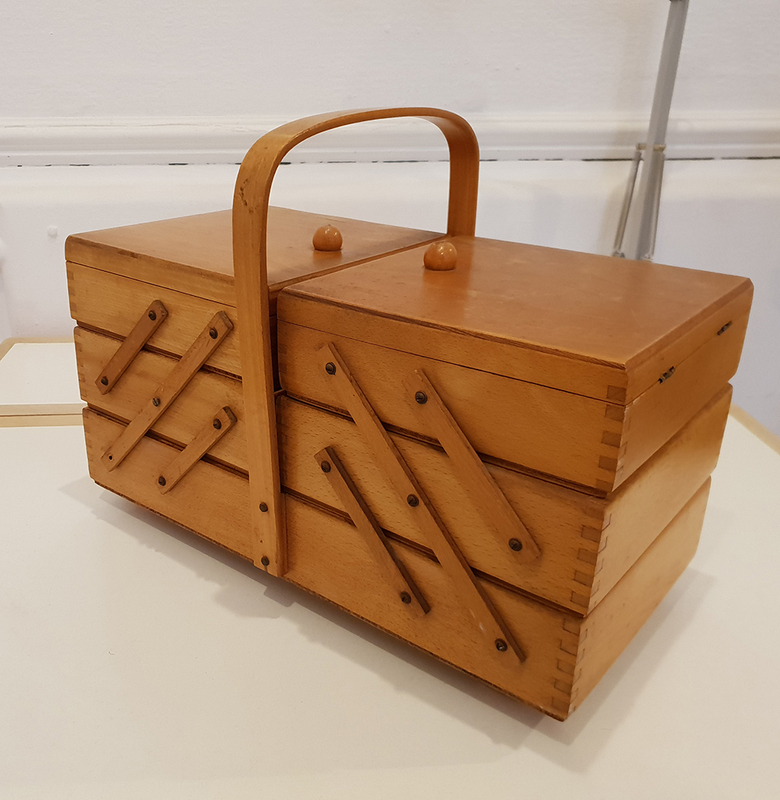 Traditional wooden sewing box. Just missing a couple of screws. Various craft, sewing and textile books. Extensive back issues of Selvedge magazine (I have issues zero to 72, not all will be included in the sale as certain issues are out of print and rare). If you are looking for a particular issue of Selvedge, I’m open to offers in advance of the sale. Piles and piles of sewing patterns!! Lots of original vintage patterns too. Threads, fabric, haberdashery and sewing equipment and gadgets. Lots of my samples and discontinued MIY Collection products will be up for grabs, including sample garments. Everything will be PRICED TO SELL, don’t miss out! First come, first served, come and get yourself a bargain. If you’re coming, please be aware payment will be by CASH ONLY!! 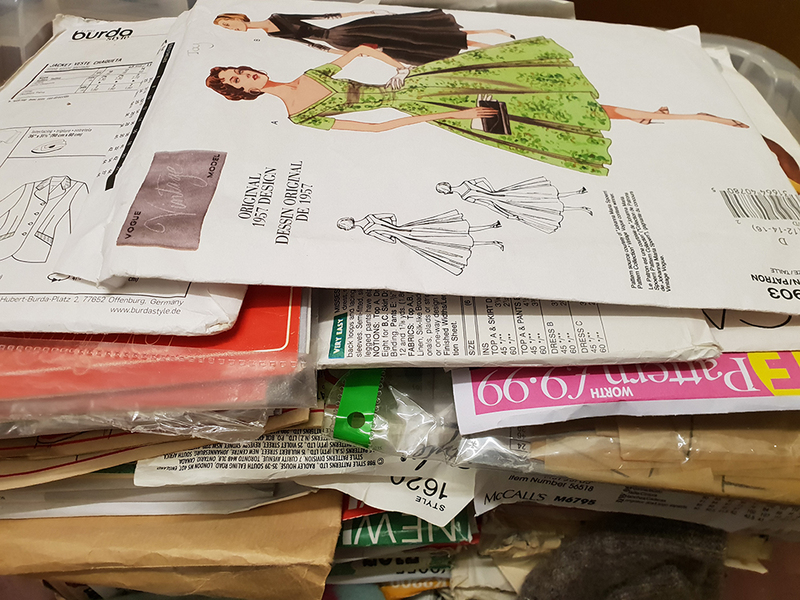 This entry was posted in Other Events & Workshops and tagged Brighton, fabric shopping brighton, juki overlocker, juki overlocker for sale, miy workshop, overlocker for sale, sewing in brighton, sewing sale, sewing sale brighton, studio sale, Wendy Ward, workshop sale. Bookmark the permalink.